As you might remember, IntelliJ IDEA 14.1 shipped with the initial HiDPI support for Windows and Linux which could be enabled via the -Dhidpi=true key in the idea.vmoptions file. The support was somewhat limited and only allowed to use a 2x scale factor (and some displays do have other scale factors, so some of them were not supported.) A partial solution was to change the default font size, although it still did nothing about scaling icons. 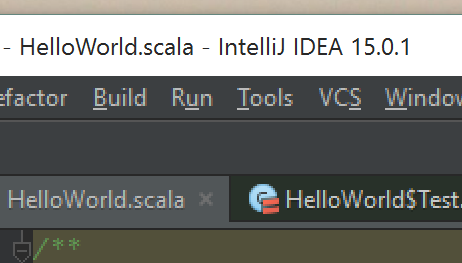 We promised a pleasant surprise in each new IntelliJ IDEA 15 EAP, and today we’re delivering on that promise with the newly released EAP build, that, among other enhancements, comes with the complete HiDPI support for Windows and Linux, with fractional scaling of both fonts and icons according to your system DPI settings. It means that you don’t have to tweak the idea.vmoptions file anymore, just use your favorite font (make sure to restore the defaults if you changed them), and enjoy the high resolution IDE completely. 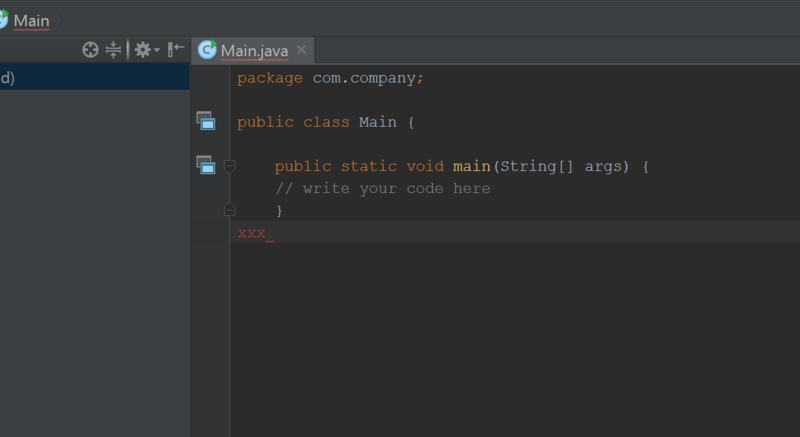 Enough reading already, go ahead and download the latest IntelliJ IDEA 15 EAP, and try it all for yourself. Any feedback is welcome in our EAP discussion forum and issue tracker. This entry was posted in New Features and tagged 15, HiDPI, Minerva, User Interface. Bookmark the permalink. Can you please publish sample screenshots of IDEA HiDPI mode vs default mode for 4k and 2560 monitors? That’s great news! When is this coming to WebStorm? What about the HiDPI support on MacOS? For Mac OS X HiDPI has been supported for years. HiDPI sounds all well and good, but personally I wish my fonts rendered worth a damn on Linux using non-HiDPI. I realize this is really a Java issue but it’s really bad and has been around far too long. The project hasn’t been updated in a while, but for what it’s worth: https://code.google.com/p/tuxjdk/ greatly improves font rendering on Linux. Tommy, we know that this problem is a real pain for many linux users. That’s why we decided to not wait fixes from Oracle, but switch to implementing rendering pipe-line in our own custom JRE based on OpenJDK project. You might have heard that we already implemented sub-pixel AA for Mac OS X. Linux is our next big goal. You just need a patched openjdk. I can send screenshots if you’d like. Ubuntu 15.04 Unity. 2 x 4k display. HiDPI feature doesn’t work at all, I can’t even force it through the idea.vmoptions flag as previously. I’m using Ubuntu with KDE, and I updated this EAP version today. I’m not using high-resolution monitor at all, but my IntelliJ starts to show large icons and texts after update. And the worst part is that the editor fonts gets bigger and bigger every time I restart IntelliJ. I can’t even set the accurate size of the font. When I set the font size to 10 in the settings, it automatically changed to 12 or 13 whatever. It is not possible to set up editor font or console font size less than 17 ? This setting is not apllied. I use windows 7 with large fonts appearence. I found the way to descrease font sizes. But something wrong with settings gui of font size. Seems it shows wrong values after appling settings. Is there any way to disable this feature? Tried -Dhidpi=false, but it doesn’t work. Hey me too, have you find a solution? I’ve been using the old HiDPI option for a few weeks. The only issue is the font size in the settings would tend to show double the value. I’m on opensuse 13.1 with kde. The same seems to be an issue here. I modified the .icls file for the scheme so that the editor font is set correctly. I use Consolas 12pt in the .icls file, but in the settings dialog it shows as 21 pt. On a restart it will be an even larger value, and there’s no sensible way to enter a value in this dialog. So I modified the .icls by hand, and when I start Intellij I just copy my correct copy of the file into the spot where Intellij is looking for it. All is working well now on the 4K displays. Thanks! Now if other java apps would follow suit, like JProfiler or Yourkit. What about PyCharm? Really need a fix. Icons are so small most of the features that I really liked are now unusable on my new laptop. This will be available in PyCharm 5. It’s EAP starts in a few weeks already. I’m using a 4k Dell Inspiron 15 7000 and I noticed scaling was off with IDEA 14, so I excitedly tried out the 15 EAP from last week. I grabbed the IDEA CE IC-142.4859.6 but found no differences with the earlier 14 CE. The splash screen redraws 3 times instead of just two and that’s about it. Is the Automatic HiDPI support not in the CE build as well? The feature is disfucntional on Windows. I have been fighting with this for an hour without any luck. I have a hires laptop on win 10 and scaling of phpstorm works everywhere except the actual EDITOR. In the Font scheme preview window it shows a nicely scaled font, in the editor I can see it with a magnification glass. The only feature that works is increase font size, however this also increases the line spacing so much that it become unuseable as soon as I can read fonts. Hi, Hannes! Can I ask you to create a ticket in our issue tracker? It is the best way to have this issue resolved. Any luck with this one, guys? I seem to be having the same issue. Any of my beloved themes now gives me microscopic fonts. I have to fall back onto Darcula, which is not the best!!! With custom theme: not ok! Antialiasing was not working with IDEA 14 for me on Mac OS X 10.12 and 27″ Thunderbolt display. With IDEA 15 it looks great! Thank you JetBrains! I just upgraded to 15.0.1 from 14, on Windows 10. Using a laptop with a 13″ 2560×1440 (i.e. high-DPI) display scaled at 200%, and a 24″ 1920×1200 monitor scaled at 100% as my secondary. I had to change the fonts for the code editor from 14 to 28 points. My only option for non-fuzzy fonts on the external monitor seems to be to set the external monitor as my “primary” display in Windows display settings, and sign out and back in again. IDEA opens on the primary monitor. (The fonts look pixellated if I drag the window to the laptop display – they appear to have been scaled as a bitmap, rather than using the right fonts – example: http://i.imgur.com/nug4xDE.png – but this doesn’t worry me really.) However then I have to manually change the font sizes back to 14 points or they’re way too big. Is this hi-DPI support supposed be aware of the DPI on each monitor, or is it just for the primary monitor? Am I doing something wrong? Hi, Luigi. Per-display DPI awareness is not yet supported, but we’re working on it. Find your idea64.exe in the IDEA installation folder, show a context menu on it (right click), then: Properties->Compatibility->”Disable display scaling on high DPI settings”. Uncheck the option. Hello Anton, would you mind giving me the youtrack id of this issue because I’m facing the same problem and I would really like to be informed when the problem is solved. I am on a Dell XPS 15 with a 4K screen and the difference between IntelliJ 14 and 15 is incredible. HiDPI support is now perfect, except for the tiny splashscreen which is not a problem at all. Thank you Jetbrains. Should I be installing 11EAP or 10? I wish this was the case for my laptop. Things are fine when I login with my external monitors attached, but if it is just the laptop screen 3k (Dell Precision m3800), sadly Webstorm is unusable. Between the unusable release of Resharper 10 and this Webstorm issue, I’m a little saddened with Jetbrains at the moment. I am on a Dell XPS 15 with a 4K screen and Kubuntu 15.10, and installed IntelliJ 15 today. The fonts and icons are tiny. After downloading and extracting tar-file, and executing bin/idea.sh, I was told to install a JDK. I installed openjdk-8. I am also having issues with very small fonts and very small icons using the latest 15.03 release on OpenSuse Leap 42.1 using KDE as the destop environment. I am running the 64 bit version 1.8 version of Oracle’s JDK. I enjoy the convenience features of programming within the IntelliJ products, such as Android Studio, and I was really considering purchasing IDEA or possibly the complete suite of programs, however, the constant pain it is to have to edit configuration files to get it to run on a 4K laptop screen to be actually usable is ridiculous. I thought the hype on the page about 15 working on high dpi monitors meant I would not have to make changes myself again, but I guess not. I have not yet tried to add the hidpi configuration line yet on 15 and not sure whether it will work or not. Is there any others that have had this issue and found a solution? If so how? No, I have not yet found a solution for it on OpenSUSE Linux and have not really done any more twiddling with it to get it to work. On Windows using the same hardware it works just fine. I have not tried using a different desktop environment, such as Gnome, as I usually do everything on KDE but I may try that to see if it has any different effect, although I have my doubts. I would be happy if at the least it would respect an override in a configuration file, like older versions did. But trying to set a value manually for the hidpi property has had no effect for me. I too am looking for the solution, using KDE on openSUSE. Kubuntu 14.4 here. Fonts are HUGE (and nasty since I am NOT on HiDPI). I’m trying this in IntelliJ IDEA 15.0.3 under Window 10 on a Surface Pro 4 at 200% scaling (recommended on the internal screen of this device). Everything in the resulting window seems to be scaling at 100%. I have not overridden fonts in the IDE. Is this expected? Is there something else I need to be doing to make this work properly? Intellij wants to read your dpi from xrandr. And it doesn’t re-scale itself on change unfortunately. When you try intellij with 4k monitor you have to add “-Dhidpi=true” to both idea.vmoptions and idea64.vmoptions then close Intellij, execute command “xrandr –dpi 144” and then run Intellij. If you know how to dynamically re-scale or adjust font then share it with us! Changing the font size seems to require to create a new color Scheme, which is not really what we want. I can’t Enable my HiDPI function un PhpStorm2016.1 Y tried adding -Dhidpi=true, -Dis.hidpi to my vmoptions and no result. I am runnign Opensuse leap with KDE 5.20. What do I need to do for enabling this feature?? This doesn’t seem to be working under Kubuntu 16.04 and a 4K HiDPI display (Dell Precision 5510). Fonts are too small. I have a stranger problem, I have my surface pro 4 connected to a 2560×1600 30″ Dell, the font would be very clear and perfect but if I unplug and replug display port, it would sometimes shrink to an tiny unreadable size, if I half drag the window between the two screens then its fixed on the monitor side. I can then restart windows and it would work fine again. There isn’t a consistent way to toggle this though, resizing the font in the settings makes all the edges blurry. Still doesn’t work in 2017, can’t find any option to activate it, everything is tiny. I have the same problem in 2017 phpStrom version, I tried to add -Dhidpi=true but not worked. any suggestion?